Instead of schlepping to a doctor’s office only to cool your heels in the waiting room, you could in a few years be Skyping with your physician from the comfort of your own living room. A bill permitting doctors to be reimbursed for consulting with patients at their homes over the Internet (SB 6519) — also known as “telemedicine” — won approval from the Senate Ways and Means Committee on Tuesday. Passing the House Appropriations Committee the same day was a measure allowing easier licensing of out-of-state doctors (HB 2452), which would allow Washingtonians to consult with physicians in at least 12 other states. Telemedicine has been a reality for years, at least in extreme circumstances, as when medical specialists in Massachusetts directed surgery in the South Pole in 2007. But in everyday life, Washington doctors still can’t get reimbursed by insurers for consulting with patients via a video linkup. Under the legislation, that would change in 2018. John Scott, medical director of the University of Washington’s telehealth services, told the Senate Health Committee earlier this month telemedicine would be a huge boon to, for example, patients being treated for advanced heart failure. Recently, one patient using public transportation to travel from Whidbey Island to UW traveled two hours each way for a 15-minute appointment, Scott said. Telemedicine already is being used by the Veteran’s Administration hospital in Seattle so that veterans suffering from post-traumatic stress disorder don’t have to go out into public, which can trigger symptoms, said Lucy Homans, a lobbyist for the Washington State Psychological Association. Both of the measures advancing this year build on legislation (SB 5175) sponsored last year by Sen. Randi Becker, R-Eatonville, that, starting in 2017, for the first time requires insurers to pay for interactive online consultations with patients at nursing homes, health clinics, hospitals and similar facilities. Becker is the sponsor of this year’s telemedicine legislation as well. If the measure passes, Washington would join 16 other states that the American Telemedicine Association considers to have robust statewide coverage for telemedicine. The interstate licensing bill seeks to expand patients’ access to health care access in the state by directing Washington to join an interstate compact to expedite the licensing process for doctors and specialists across state lines. Currently, only doctors licensed in Washington can consult with patients here. If a specialist or doctor in an adjoining state wants to advise a Washington resident, the hospital here would have to conduct a thorough examination of his or her credentials and malpractice history, a lengthy process. If the interstate licensing bill passes, it would make the process simpler by allowing a hospital to contact another hospital or clinic in a different state and rely on its confirmation of a candidate’s medical credentials and malpractice history. This could be particularly helpful to rural residents, where doctors in adjoining states may be more convenient than a trip over the Cascades. The states currently in the interstate compact are Idaho, Montana, Nevada, Wyoming, South Dakota, Minnesota, Iowa, Wisconsin, Illinois, Alabama and West Virginia. Bills in 13 other states seeking to join the compact have been introduced in the last two years. Doctors would be disqualified if they have been convicted of a crime, been subject to discipline by a licensing agency, are under investigation by law enforcement authorities, or have had a license to dispense controlled substances suspended or revoked. Taken together, the telemedicine bill and the interstate licensing bill would give patients in Washington an easier time seeing any doctor, including those across state lines. Scott, of the University of Washington, said in an interview that initial consultations should be done in person, but telemedicine is a valuable tool for follow-up visits. 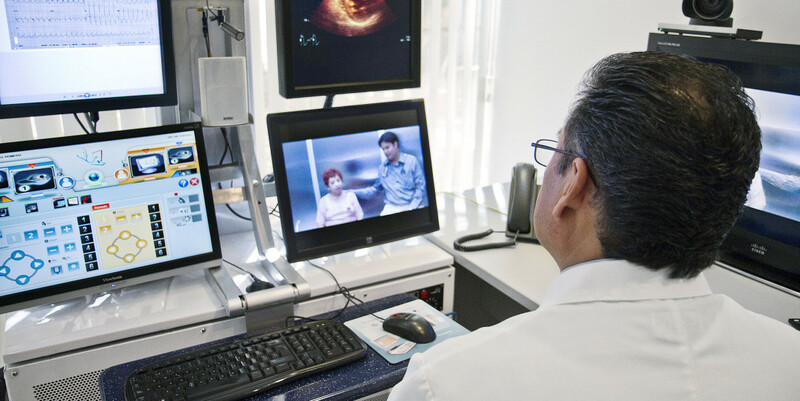 Convenience may not be the only benefit to telemedicine — it may also promote better health. In a study published by British medical journal The BMJ, patients who suffered from emphysema, diabetes or heart conditions wore home monitoring devices for one year. Those on the monitoring device were twice as likely to be alive at the end of the study, compared to patients not wearing them, and had 20 percent fewer hospitalizations. In a subsequent study conducted by Carolinas HealthCare System, patients who had access to telemedicine saw readmission rates for advanced heart failure cut in half. Internet consultations may also be useful in addressing Washington’s shortage of specialists who can provide psychiatric care, said Katie Kolan, director of legislative and regulatory affairs for the Washington State Medical Association.